Mother Angelica, pray and intercede for our Catholic church. Give our people the courage you had… Complete trust in God and in the journey He took you through and complete determination in following that journey. We don’t need more wimps and we can’t wait for more leaders. We need to become leaders ourselves, we need people willing to speak the truth and unafraid of calling out higher ranks within the church, drive error away and respect church tradition. Looks like I am a Nazi…….even though I am Black. A Great book to read — “DRESSING WITH DIGNITY” by Colleen Hammond. She also has a Facebook group for females looking to discuss modesty and dignified dressing with the same title. What sort of topics would you ladies like to see me cover on the blog? PS – topics should be Catholic, tradition and female- centred ? 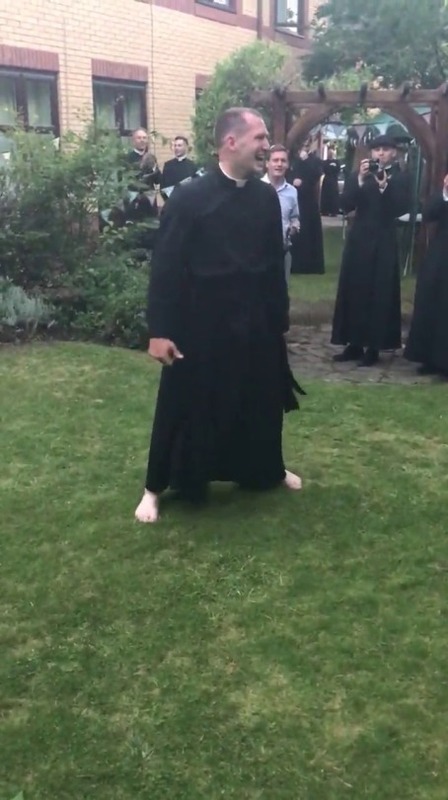 Trad FSSP seminarian doing backflips…. as you do! ?